Our precision components provide safe and leak free fluid dispensing from cartridges. These industrial grade MDPE wiper plungers are used with the 310ml cartridges for dispensing most adhesives, pastes, gels and solvents. Dual wiper blades provide a close tolerance fit inside the cartridge walls to prevent material waste and mess. Plungers and cartridges can be used with pneumatic applicators as well as manual dispensing guns. Available individually or as a set containing plungers and cartridges. Cartridge plunger (black) with dual wiper blades for use with the 310ml cartridges (part code TS110C and TS110C-BLACK). Provides wiper action inside the 310ml cartridge for use with most materials, liquids, adhesives, silicones, sealants, gels and pastes. Supplied in sealed packs of 10, 50, 250, 500 or bulk packs of 1000. All plungers are silicone free and are available to ship from stock. Disposable plastic cartridges are available in 2.5, 6, 8, 12, 20, 32 oz. (approximate metric value 60, 177, 237, 355, 600, 960cc) and 310ml capacities. Cartridge in high-density natural polyethylene. Summary: Plastic cartridge plunger for use with TS110C dispensing cartridges. Delivery: Products shipped by courier on a tracked and insured service for stock items. Products on a longer lead time or built to order will be sent as soon as available. Customers are informed of ship dates and updates. 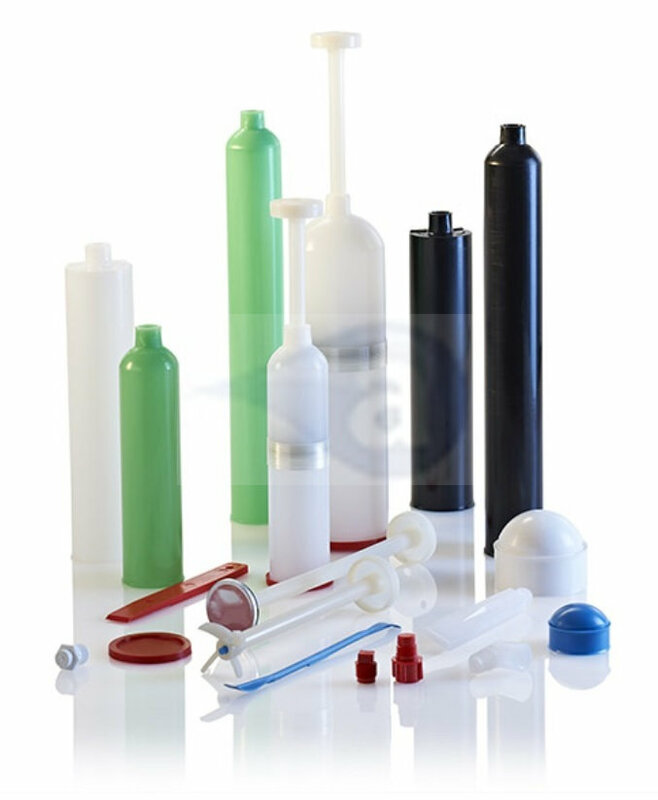 Typical Applications:- Cartridges and plungers are for use with air retainer, cap and air hose or with manual, pneumatic or battery type dispensing guns. Use to pressurise liquids and pastes up to 100 PSI on pneumatic systems. Use with most silicones, sealants, RTVs, liquids, pastes, epoxies, gels, solvents, adhesives, fluxes, lubricants, paints, inks, solder creams, braze pastes and many more assembly fluids.